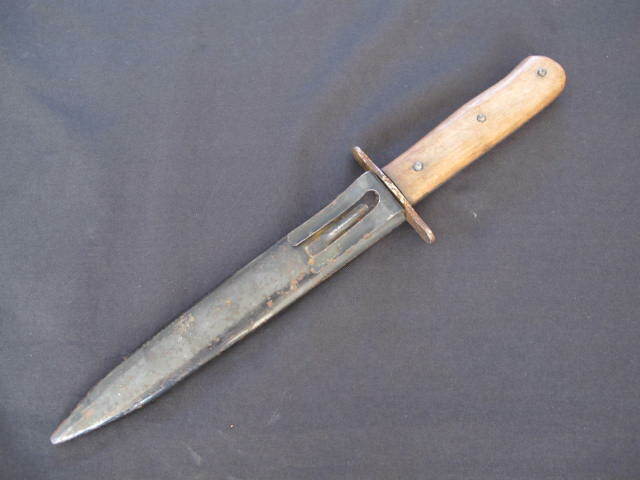 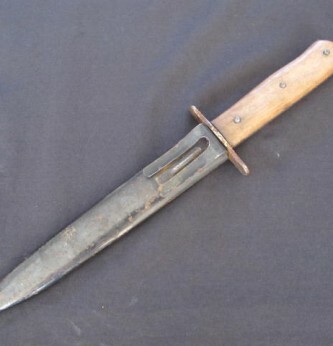 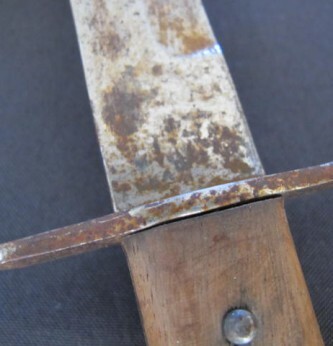 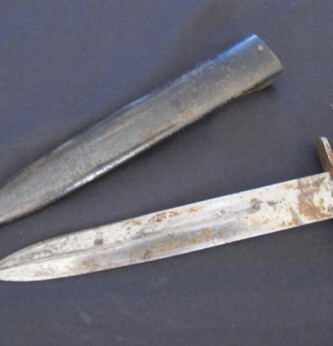 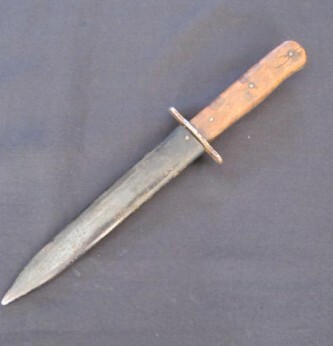 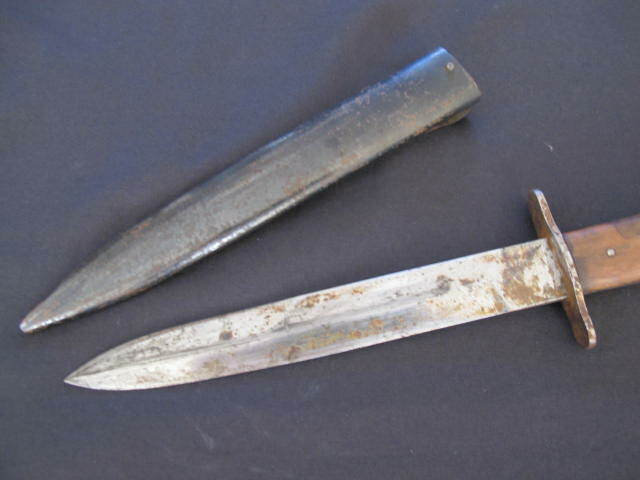 WWII German boot knife/fighting knife. 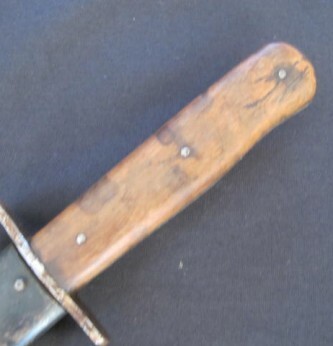 Slab side wooden grips in good condition. 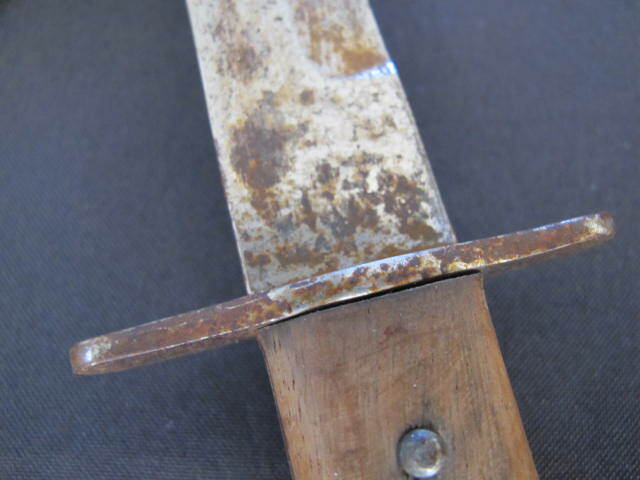 Blade with some minor rust and finger staining but otherwise good. 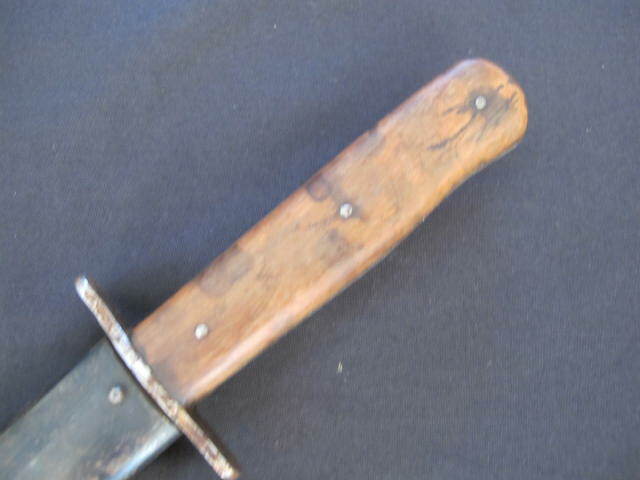 Comes complete with its correct pattern black paint finish scabbard with clip fixing for fixing to tunic or boot. 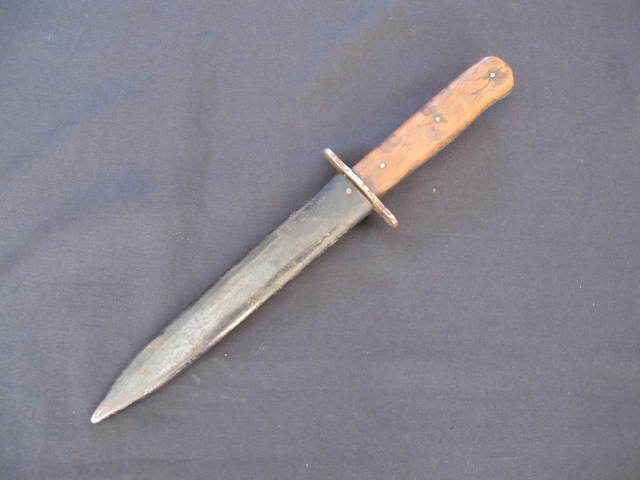 This simple design fighting knife was the German equivalent of the Fairbain Sykes fighting knife and was designed for hand to hand combat engagement.